Acorn Sash Windows is highly recommended. We have over 270 testimonials from happy customers. Please scroll below and take a look. "Everything looks great and was left really tidy. Thanks"
"I am happy with the work and was very impressed with the carpenter who left my house tidier than he found it." "Thanks again for the quality of the carpentry work and professional attitude undertaken on our sash windows." "We were very happy with the work carried out. That goes for the materials, as well as the general quality and precision of the work. The carpenter was always on time and courteous, and left the rooms tidy. I liked the fact that you were reliable and on time when corresponding with us. We will definitely recommend your company." "We are very pleased with the work. The carpenter was very punctual, extremely clean and has done a very professional job. I wouldn't hesitate to recommend you and have already received a few compliments on the workmanship and attention to detail." "The door looks great, we are very happy with it." "The windows look great - your colleague did a very good job." "The work was typically great and we'll be back in touch when we get round to the next one...!" "The windows have really made the difference. The house is warm and quiet and so much nicer to be in." "I would like to say thank you for an impeccable job. Your carpenter was brilliant and extremely neat in his work, I really appreciated it. As you mentioned it when you came for the survey, it has made a massive difference and I am amazed. I honestly didn’t think the flat would get so warm, so quickly. No more humidity on the windows either, priceless! …I have already recommended your services. ...Once again, a big thank you for your hard work." "We are really happy with the windows, they're really sturdy, solid and have already made a difference in the warmth and dryness of the room. Your carpenter Simon was really brilliant. He arrived on time and got to work promptly, leaving everything nice and tidy after he left. Couldn't have asked for more from him. We are really impressed with Acorn's work and would recommend you in a instant." "Everything works well and looks good. [Your carpenter was] bang on time, courteous and friendly. [He left everything] in a clean and tidy condition. No cleaning up required from us and it was like no works had been done in the room :) All in all, pleased with the work and will look to use Acorn Sash Windows for the rest of the windows that need replacing (all of them)." "I'm very pleased with my new windows and with the quality of the work. I was also very impressed with your speed and efficiency; thank you for organising… so that everything was finished… before going away. Simon was very pleasant and helpful, covered carefully with dust sheets and left everything tidy. It was all a welcome change from the stress of some previous building projects! I will certainly use you again if I decide to have more windows replaced." "Just a quick note to let you know that now the temperature is dipping we're noticing a massive improvement in room comfort. We're really happy with the result. On another note, your recommended painter ended up painting all our sashes front and back. Really happy with his work too, super clean finish. Many thanks for the recommendation." "The window looks great and Simon was very professional." "Am very happy with the work undertaken and with the carpenter. I have recommended you to another friend." "Thank you for a lovely job on the door and windows." "We are very happy with the quality of your work. Simon was punctual and made his work within the timeframe agreed beforehand. We're also happy that he left the property clean and tidy." "I am very happy with the work that has been carried out and wouldn't hesitate to recommend you to anyone else thinking of having similar work done." "We are extremely happy with our windows. It is eerily quiet and warm in the flat now! ...The guys did a great job and were clean, courteous and punctual. The windows are fantastic. We are very happy with the quality and workmanship." "We were very pleased with the work carried out. The carpenters were very clean and tidy and we are happy with the results." "Dominic - just to say we are very pleased with the outcome, especially given the difficulties your man had to work with in respect of the twisted and irregularly shaped frame in which the doors had to be fitted." "I'm really pleased with the doors. Thanks for your work and for being so professional." "Everything looks good. Job was really quick and Simon was great." "As usual, superb job! All wood repaired, concrete around the frame repointed, lovely all around. All clean and tidy… Sadly no more repairs! …Honestly, brilliant stuff." "Other than the minor snag… (which was easily rectified…) we are very happy with all aspects of the work. The joiners were polite, punctual and communicative. On the basis of the quality of your whole service and the finished windows I would recommend your company to others." "The work was all good - and your workman was great." "We're happy with everything. Thanks very much. " "Thanks again - it was an excellent job and I'll certainly recommend you to others." "Thanks again for your work. I'll have no problem recommending Acorn to others… Windows look great. We are glad we chose the refurb option for most of them as they retain some of their original quirkiness but now look smart and clean. New casements also good. Nice quality… [Your carpenters were] very professional. We felt that they took real pride in their work and wanted to complete the job the best it could be done rather than compromise the quality and finish. Recommended decorators did a good job too, very happy with their work… [Property was left] all clean and tidy." "We are delighted with the quality of both the work and the materials, as well as with the detail included in your quotations. Superb. The windows look great, we are sure that in addition to making the rooms much more draught-proof and comfortable, they have added value to the property… Excellent service as well, timeliness, easy to deal with and communication. Great… Everything was left absolutely spotless and truly, no need to hoover!" "I am very happy with the final result of the windows. Thank you! Irmantas has done a great job." "Thanks very much for an excellent job." "I'm very happy with the work. The quality is fantastic and the carpenters were very polite and left the place perfectly tidy after they finished. I will definitely be recommending Acorn Sash Windows in the future." "Thanks - we're hugely satisfied on all counts." "I would certainly use Acorn again, and I wouldn't hesitate to recommend you." "The window looks incredible, we are more than satisfied, thank you so much." "All is well with our new doors. So much warmer." "We are very happy with everything - Simon is brilliant. Thanks." "Thanks for everything, we're so pleased with the new windows." "Many thanks for your work. We are very pleased with the result, both the quality of the work and the seamless efficiency of the whole process." "Many thanks for the work, the windows are excellent and Simon did a grand job fitting them and repairing the woodwork, please pass on my thanks to him. I'm more than happy to recommend your services to others..."
"Thank you again, windows look fanstatic." "Many many thanks – great work as usual." "Thank you for the work this week - we were very pleased with the job Simon did." "Once more, thank you ever so much for the great work from you and Irmas!" "...Thanks for a great job we’re really pleased." "It was a fantastic job." "Thanks for a really good job on the windows. The noise reduction from the road and heat retention is excellent and exactly the reason for doing the work." "Hi Dominic. We are loving our new windows." "Everything went very well and we are happy with our new windows." "We’re really delighted with all the work. Your carpenter did a wonderful job." "Many thanks, yes all looked great. And please thank Jan particularly, as he did the different coloured mastic so neatly it looks quite a feature!" "Front bay is nearly finished and looks great, so super happy so far! Your carpenter is very lovely and worked non-stop all day in the blazing sunshine… The windows look really beautiful, I'm really genuinely delighted by them! It is already much quieter. I'm really curious to see what a difference they make to the draught in the winter, and I guess the condensation will prove the real test but I honestly think Simon did such a brilliant job." "Everything looks excellent. The man installing the windows seemed to do a very good job. Thanks." "Very happy to recommend Acorn Sash Windows. I found them to be reliable, efficient and professional. Our new windows are beautiful and there was minimum disruption when they were fitted. Thank you!" "You and Jan have been great, and we'd have no problem recommending Acorn Sash Windows to others." "All the carpentry work has been completed to a good standard. Jan worked very hard and finished promptly. Please pass on my thanks to him." "I wanted to say how pleased we are with the excellent job your guys have done with the windows - it's completely transformed the house! We were also very impressed with how hard they worked and how efficient and pleasant they were to have around (not always the case when you're having building work done!)" "Just wanted to say that we are very pleased with our new windows and the speed at which they were installed." "Simon and Irmantas did a really good job. We' re really pleased." "Thanks again for the work. I'm very happy with it." "Many thanks for your excellent work and attention." "Thanks for the work Dominic - we are happy with the results." "Irmas has done a great job, very happy with it." "Thanks very much. It has been a pleasure doing business with you." "Thanks Dominic, the window looks beautiful - absolutely perfect - and the carpenter was efficient and tidy." "Everything was completed and is fine. The person that came was very competent and cleaned up beautifully afterwards." "Everything was done brilliantly and I am completely satisfied with the work… Thanks Dominic, your company is fantastic and incredibly reliable. I feel in very safe hands." "All is fine, thanks. Nice neat job, promptly executed. That's what I expected and why I came to you!" "The job was done very professionally and we are really happy with the new doors." "Simon was great and the windows are looking much better!" "Thanks, I'm very happy with the windows - Jan has done a great job. The repairs look great and are much appreciated." "We are really impressed by the authenticity of the new top sash windows in the front room. You'd have to know and look close to see they're not the original Edwardian ones. We already had neighbours asking about them... We really appreciated your and your team's professionalism." "We've very pleased with the door, it looks great and no more drafts. The carpenter worked very hard on it." "Many thanks for doing the windows. I'm really pleased with them and will have no problem recommending Acorn to anybody else. Also, thanks for being easy to deal with, from the detailed, written quotes to the clear billing arrangements. Good luck for the future." "Windows seem to be excellent and your installer was absolutely first class." "Delighted with the windows and the installation was faultless. It was so quiet this morning that I overslept!" "The windows all look very good - great job." "Thanks for sorting out the snagging issues so promptly. We are really pleased with the windows/door." "The windows look very good!" "Very happy with everything, thank you." "Dominic and his team surpassed our expectations. The team were professional and efficient and a pleasure to deal with while the reduced noise and increased insulation from the windows has made a huge difference to our flat. We would recommend using them." "We have been very happy with Jan's work." "Thanks for the excellent work and for getting it done on time." "I am very happy with the work done, thanks." "I am really impressed with your efficient service and would certainly recommend you to others based on this." "I just wanted to say thank you very much. Janusz did a great job. I’m really happy with the work. My neighbours are too. You run your business very well! A cut above the rest." "Wanted to say how pleased I am with the quality of the workmanship on the windows. I only wish there were more like your team about. I will certainly recommend you. Simon was very pleasant as well." "The windows look great and your carpenters left everything clean and tidy - all in all a lovely job, thank you very much." "He did a good job on the windows - they work well and look good." "Your workman Jan completed the work and did a great job." "We were both really pleased with work and the final products so thanks again." "The team at Acorn did a first rate job. Absolute clarity about what everything would cost, how long it would take and when they could do the work. A level of professionalism that is really refreshing"
"I’m very pleased with the finished result." "Thanks again for the very professional way in which you and your team handled this job. We are very pleased with the new windows and will be coming back to you for the few remaining windows as soon as we can." "As before Irmas was great!!" "Yes, everything was perfect thank you. Excellent standard of service." "We are very happy with our newly repaired windows!" "Thank you very much for the work… we are very pleased with the workmanship and the careful treatment of our property during the work." "We are very pleased with the work and were impressed by your carpenter. Please could you let him know and thank him on our behalf." "The windows are looking great, thank you very much." "All looks great - I am really pleased with the result… Dominic and his team were models of professionalism from start to finish. The end result is terrific and the process to get there was effortless. We will be using them again"
"Some time ago I said that I would give you an indication of the difference between your quotation and that of the Sash Window Company. I've finally got round to making the comparisons which in overall terms for each set of windows are, approximately: Ground floor, your B/01-B/03 +20%; First floor, your B/04-B/07 +38%; First floor, your B/08-B/10 +33%. That is the amount by which they were more expensive. I'm a bit surprised by the difference for the first floor..."
"Just to let you know we are VERY pleased with the sash windows your carpenter fitted this week. They are fantastic - and SO light to move up and down. The carpenter himself was also very friendly and nice to have around as well as being neat! …Dominic is extremely efficient and pleasant to deal with, the carpenter tidy and friendly and the work very well done. We will definitely use them for our remaining windows." "The upstairs windows look great - we are v impressed!" "I have been very happy with the work you completed, especially with the replica sashes you created. In hindsight I would have done a complete remake of all windows, but perhaps something to address in the future at some point. The work you have done has substantially reduced the draft throughout the flat and as a result heat retention is vastly improved. Although I never met your carpenters, my brother reliably informs me that they worked very hard while they were in the flat as such I was happy, albeit a slight delay on the completion of the project… Thank you for all the work you did." "We were very happy with the work your company provided." "Yes great job and thank you and your man ...it does make a big difference to our bedroom." "Irmas, by the way, was an absolute joy - he was polite, respectful, cleaned up every day, came on time, worked all day etc.... - he is a credit to your company. I just wish all the workmen we have had round in the past (and probably the future) could be like him…"
"As ever the work done to a very high standard. Jan is a very good person to have around. We like his style and his work. Please thank him from us." "I have been extremely happy with both your service and the end product. The two carpenters who were working on my job were fantastic; they were helpful, clean, professional and completely trustworthy. I can't praise them enough." "The windows are super and was really impressed with how they were done and the care taken in the flat… Have noticed such a difference in temperature since the sashes were refurbed - thanks." "We're delighted with the job. Thank you! …An excellent professional service!" "Really pleased with the work. Already, it feels warmer, and he was so amazingly tidy. Very grateful." "Many thanks for... the work that Acorn Sash Windows have carried out. We are very pleased with the results." "They did a fantastic job, so thanks again." "I've seen some photos of the work over here in Japan and it all looks just how I hoped it would. My friend who's living there at the moment has said the window opens very smoothly now, and that the street noise has reduced - so all good. Thanks again." "Thank you very much. The windows look fantastic!" "It was an excellent job. Thanks for everything." "We love the windows in our bedroom - such a massive difference… Phil and I are really happy with the windows - it's not only transformed the front of the house - the windows all operate with ease. The carpenters all worked really quickly and were tidy and polite as well as doing an excellent job. Brilliant thank you so much and all very reasonably priced after doing a lot of research and getting many other quotes in." "The window… looks and feels great… Thanks." "We are very happy with the work and want to thank the guy that did it for doing such a good job and leaving the place so clean and tidy afterwards." "We are very happy with the work done and will definitely recommend you to friends. One neighbour has already made enquiries I think!" "I am very pleased with the windows. One day I’ll ask you to come back and do some more." "Thanks for organising it all so smoothly." "Dominic and his colleague were professional and prompt in all correspondence. The workman completed the sash window refurbishment in the time estimated and it was to a very high standard. The workman was friendly, courteous and cleaned up all mess. Very happy to use them again and recommend to friends." "Good service. Done to budget, and on time. Happy with the quality of the work - would firmly recommend." "Thank you for the great job you did on our doors. We're very happy with the result." "We are very pleased with the work and Jan was a pleasure to have in our home, he was very tidy and nothing was too much trouble.The windows look great and once they are painted will be perfect. Thank you." "The work all seems to have been completed well and Jan was polite, informative, clean and tidy. Thanks." "Thanks... to your carpenter who was very helpful, quick and efficient." "Thank you for all your help through our various ups and downs. 10/10 for customer service. I am happy to recommend you to anyone." "I was very pleased with the work and I expect you'll be glad to know I've already passed on your details to someone else." "Thank you so much for the work carried out - I believe he did it in super quick time." "Thanks again - you guys were very professional and I was impressed by the service from start to finish." "We are very happy with the windows and were particularly impressed with the quality of workmanship carried out by Jan. He was also very tidy, covered everything with dust sheets and cleared up after himself. The front room is definitely quieter now with the double glazing. I am aware that this kind of work is expensive but I think it is worth the cost. I would have no problem recommending your company." "Very efficient job and Jan was extremely diligent and tidy." "We are really pleased with the work – the windows look fantastic! The carpenter did a very thorough job. I left a message on your mobile saying how pleased we were, did you get it?" "Jan did a great job, very quick and efficient and with zero mess. Thanks very much." "Thanks for the good work on the windows." "I've had no hesitation in recommending Acorn Sash Windows to friends having similar work done. The works were completed in line with the original schedule discussed, the windows are of a high quality and the price was very competitive - with traditional weights and pulleys for a similar price as spring-loaded windows from other firms. Throughout the process, the customer service was extremely responsive (my calls and e-mails were always answered promptly and effectively with excellent advice always being provided), they showed impressive attention to detail (e.g. by matching the finials on my windows to those in neighbouring properties), and their knowledge of how best to tie in the project with the original style of the house was first rate. Everyone working on the job was very polite and courteous and the carpenters were clearly highly skilled, achieving a very good finish all round that I'm extremely pleased with." "The windows look great, many thanks for this." "I am very happy with the work you have done and would be happy to use you again or recommend you to friends." "Jan has been and the window is repaired. A good job- thank you." "Thanks for doing such a great job." "We are extremely pleased with our new sash windows. They are identical to our old windows so are completely in keeping with the rest of the house - only now we have no draughts and less noise! The attention to detail and customer service has been fantastic. We would highly recommend Dominic and his team." "Your carpenters have been great, and the windows are fantastic." "We were very pleased with Acorn Sash Windows. They provided an informative consultation, a very detailed quote, a reasonable rate as well as an excellent finished product. We also received excellent service, punctual and thorough workmen and prompt replies to any questions or queries." "Very happy to recommend the work of Acorn Sash Windows. Staff were knowledgeable, efficient and professional. The craftsmanship was excellent, really pleased with the results." "I had someone from my street knocking on my door last night asking for your details! Thanks." "Fab job as usual and painter great." "I am happy to endorse your service. You were courteous, prompt and your charge was very reasonable. In fact, if I can figure out how to do it, I will write an enthusiastic entry for Which Local, which is where I found your details!" "Great - thanks for all the work, its all been a very easy process, and I would definitely recommend your services to others… Door and window are great thanks - very pleased with them." "Thanks Dominic. You did a great job - we're really pleased with the window. Just right!" "Thank you. We are very pleased with the excellent result… How nice to have someone who works so well and so hard and clears up afterwards!" "Hope you had a nice break. We are very pleased with the new windows, and the fitter did a very good job." "Jan, my carpenter, was great and the work he did was excellent and done with skill and care. He was very tidy and understood that there were people living amongst the work." "They make a wonderful difference to the comfort of the flat, so thanks again." "Job looks very good, thanks very much, please let the guys who did the work know that I appreciate their efforts." "I have no hesitation in recommending Acorn Sash Windows. The quality of joinery and the craftsmanship of the installation of the double-glazed windows was first-class. It has made a big difference to the warmth of our two rooms. I was also impressed by the tidiness of the work, and the fact that the promised timetable was meticulously observed." "Thank you for a job well done - very professionally and efficiently executed." "The windows look good. And your carpenters worked very hard to get it all done in one day. I was also pleased by how tidy they left the rooms." "The guy was great, really polite and the window looks brilliant." 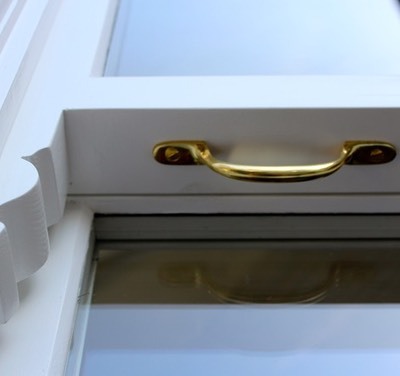 "Really pleased with our double glazed sashes - they run smoothly and don't let in any draughts. The work was carried out efficiently on the date and time arranged. The carpenter covered all furniture with dust sheets and thoroughly cleaned up at the end of the job. Communication with Acorn was always good and we believe that the total project represented good value for money. Would definitely recommend." "Many thanks for another good job." "The windows look lovely - a big thank you to Jan who did most of the work." "Just wanted to say the windows look great. I'm very pleased with them." "The work is finished to an excellent standard, I'm really happy with it and glad I used Acorn." "Jan was very efficient and did a great job. Would be happy for him to complete any future work." "Many thanks for what we think is fantastic work. We are really pleased with the results." "Acorn was recommended to us by friends because they had found the company to be efficient and the work was of a high standard. We also found this to be the case and we were particularly impressed by the thoroughness and transparency of the original quotation and final balance." "Thanks again for everything, great job done." "Jan did a really good job yesterday. I’ll be recommending you to anyone who needs sash window stuff, and you’re very reasonably priced as well." "We are really pleased with the job you've done on the windows, already noticing how much quieter and warmer it is in the house." "Extremely pleased with the work carried out on both the window replacement and the painting works. The work was done very efficiently by workmen who clearly took a pride in doing a good job. I was also impressed that there was a visit on completion by the owner of the company to ensure that everything was satisfactory. It's not always easy to find companies that you can trust to do a first class job for the right price but I would certainly trust this one 100%. Great job!" "My wife and I were looking around for a specialist sash window installer to renew our rattling front bay windows. By searching on the web and reading various impressive testimonials from various homeowners in regards to Acorn Sash Windows, we decided to employ Dominic and his guys. Dominic is very punctual and professional in what he does and also offered a very competitive quote for our front bay windows. Everything is detailed within the quotation and payment terms are simple. The window installers that came on installation day were friendly and professional. Works conducted were on time and of high quality. Even minor changes to windows during the manufacturing period were accommodated. We would like to recommend Acorn Sash Windows to anyone wishing to do works to their windows. Best wishes to Dominic in the future." "Worn-out, broken and scruffy original Victorian sash windows speedily replaced by high quality new sash windows that make me feel like I'm living in a new flat!" "We are very happy with our now fully functioning window! Jan was a very diligent and friendly worker." "We are delighted with the quality of our new bay window & are particularly happy with the retained character of the sashes with their Georgian grids. The whole process from quote to completion was very smooth & Dominic was incredibly prompt with any queries which arose. The workmen were very professional & polite & we were pleased that the work was completed within the 2 days. Despite the messy nature of the work we were surprised at how tidy they left our living room. We would happily recommend and use Acorn Sash Windows in the future." "I have dealt with many builders and contractors over a 20yr period, good and bad. I have found that the bad ones increase your stress levels, particularly if you're fussy like me. They usually lack experience, logic and initiative. The good ones deliver to high standards allowing you to get on with other things. This provides one with a higher degree of confidence which is badly needed for very busy individuals and perfectionists like myself. Having used Acorn Sash Windows I am happy to recommend them to any homeowner or business looking to replace/renew their traditional windows." "Thank you for a very good job done on the windows." "Yes, everything went very well for Stage One last week, and we are ready for the final work starting on Wednesday. We are very pleased with Boris's work and the two front windows work beautifully! Thanks!" "We are happy with the work and the way it was carried out and have noticed the draught-proofing does reduce traffic noise." "We were extremely pleased with the whole service from Acorn - the price was reasonable, their staff were friendly and conscientious (the work area was always vacuumed and clean at the end of the day), and clearly took pride in their work. I would recommend them unreservedly, thanks again." "Thanks for all the work you have completed on the house, everyone I have dealt with has been very professional and gone above and beyond to ensure the work was completed to a high standard, I was also very impressed with the costs as they were very good value for money, compared to other companies I spoke to." "Many thanks for all the work your team did at the property, for completing it on time, checking the few queries and leaving everything clean and tidy. We were very pleased with the work and how smoothly everything went." "Thanks to your team for the very good work you have done on our windows." "Many Thanks to Jan for his good work on the windows." "Acorn Sash Windows did a fantastic job. They where quick to respond to my questions, did a thorough site survey and even got the job done in one day rather than two to accommodate around a rather frantic schedule. I highly recommend them!" "We're really happy with the work - the double glazing in particular makes a huge difference." "Dominic and his team did a truly excellent job renovating, draught proofing and securing the worst three of my sash windows, the difference has been huge. Looking forward to a cool summer leaving the windows securely open, and definitely plan to get the remaining ones draught proofed by Acorn before the next winter comes around." "Thanks for all your help – we are delighted with the work." "Everything looks fine. We are really pleased with the result and the cold snap helped us test it out! Thanks." "We are very happy with the finished result. They have made a massive improvement to the front of our house, they look great and as a result they have made the house a lot warmer. Many thanks to Boris and yourself for the work carried out." "Thanks for the speedy turnaround and workmanship." "Thank you for your good work, we appreciate it." "I am pleased with windows and will be back in touch when I decide to change the living room windows." "Acorn did a very professional job refurbishing and painting my ageing sash at a very competitive price. Nearly two years on and I'm still very happy with the results every time I see it. The work stands the test of time!" "I've been away on business all week, but lovely to come back to the completed windows. 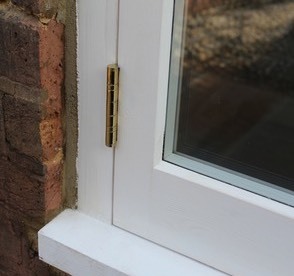 Excellent joinery and please also thank the carpenter for cleaning up afterwards… Thank you for the excellent service and attention to detail throughout… I'll be in touch later in the year about the remaining windows." "The work was carried out very well and... I am very pleased with the end result. Please pass on my best to the carpenters that did the work and a very Merry Christmas to you all." "Many thanks for the work, Jan has done a great job and the lounge and stairs feel noticeably warmer." "Thanks very much for the good job you and Jan have done. I shall carry on recommending your company." "Thank you very much for your professionalism and reliability. I am very happy with the standard of work as well as the standard of cleaning afterwards!" "Thanks to you and your team for an excellent job - it is great not only to be able to open and close windows that were stuck, but also to have smooth-running windows with no cracked panes, and no draughts. We were delighted to be able to keep all of the existing windows - which now look as good as new." "Thanks very much to you and the guys for all your hard work this week - we're delighted with the result, and the noise reduction / warmth in the front room is very noticeable, even without the curtains up." "Many thanks for this excellent service. We will certainly use you again if we have any more windows in need of an overhaul." "I have been very pleased with the service provided by Acorn Sash Windows and would not hesitate to recommend them to others. Replacing my rotten sash windows with new timber double glazed sashes was a big undertaking and a huge financial commitment for me. I did a lot of research into national and local window companies and was most impressed with ASW. Throughout, Dominic was clear, professional and quick to respond to my queries and I am delighted with the end product. I have found it difficult to find reliable contractors to do other work in my flat and have therefore valued ASW's service all the more." "Acorn Sash Windows undertook extensive renovation and replacement of all our Victorian sash windows. Dominic is highly professional and very pleasant to work with. He was immensely helpful in response to our queries and nothing seemed too much trouble. His team were very skilled and delivered a high quality job within the agreed timeframe. They worked in a clean and tidy way which minimised the disruption. Our new windows look great and have cut out draughts and noise to a high extent. I would not hesitate in recommending Acorn Sash Windows." "Very good work and great customer service. Would definitely recommend." "I looked at the window today. It is fantastic. A great improvement all round." "I was pleased with the job which was really good value and done very promptly." "Wanted to let you know that we are extremely pleased with your work. Thank you. Likely to call on you again." "Everything's grand here - the bathroom window is great - it's lovely to have a bit of extra light." "Victorian houses have, alas, a tendency to "move" over the years, with the result that nothing, including the windows, is truly square. That's why when it comes to repair and renewal, you need skilled people to spot the problems and fix rather than bodge them. Acorn Sash Windows were professional from start to finish. The options were clearly discussed and then set out in an estimate. Carpenters turned up on time, had obvious pride in their work and cleaned up properly afterwards. Recommended!" "Your company has done a great job! Thanks!" "Dominic and his team provided a very professional service from start to finish and I was delighted with the windows." "Thanks for a friendly and efficient service." "We had window sashes renovated and French doors replaced by Acorn Sash Windows and we are very pleased with their work. The new doors are exactly what we wanted, including fitting in a cat flap which we feared might be impossible to do in a double-glazed door. (We can't comment on the draught-proofing as it is summer and haven't had cold weather yet, but it looks to be very effective.) All work was done on schedule and workers always took care to leave the area in as liveable a state as possible when they finished for the day. Dominic as project manager provided very detailed and specific quotes and accounts and was very responsive to any questions we had and to the unexpected problems that always come up as work progresses. We would have no hesitation in using Acorn again and highly recommend them." "Very happy with the windows on the whole, particularly with new living room window. Excellent job." "Thanks for a lovely job." "We are delighted with the installation of new sashes and restoration of the frames in our bay window. Dominic talked us through the options available and gave us a detailed and comprehensive quote. The work was completed on schedule with minimum disruption and the area left clean and tidy. The new doubled-glazed hardwood sashes are perfectly in keeping with the period style of the house and were good value. We would happily recommend Acorn to others." "Just a belated reply to say thank you for your very efficient and professional service, particularly your clear communications via e-mail and phone. Also to reiterate that Jan was excellent. We are really pleased with the work." "I would strongly recommend Acorn Sash windows - their estimate was based on thorough attention to detail and the carpenters came when they said they would and completed the work on time. The work was carried out to a high standard, finished off properly and tidied up thoroughly. Excellent value for money, no messing about!" "Thank you very much for the efficient way in which you have worked. I am very happy with the professionalism of your company and would recommend your company to others. Many thanks." "With many thanks to you and your team for your flexibility amidst what has been an extremely busy time for us. We look at our windows with huge satisfaction and appreciate your courtesy and hard work." "I am very happy with the work which Acorn have carried out and I appreciate the free window! The job was carried out within a couple of days as quoted and all areas left in tidy condition. Thanks very much!" "I can't tell you the incredible relief of discovering Dominic and his team. Men who always turn up on time! Men who do exactly what they say they will do, and neatly, too! We were thrilled with quality of the work - the house is quieter and less draughty - and certainly will use Acorn again. I should also point out that their quote came in at rather less than those of some of the bigger, more well known sash window companies. Everything is great. They worked incredibly hard, and finished on Wednesday, as promised, which was brilliant. We can already tell the difference in terms of draughts, and noise, and for the first time ever can open all windows easily." "Jan was great and work all done tip top. We now have a working window, let's hope the kids don't figure it out! …And thanks for sorting our job out so speedily." "Thank you so much for the work you have done on my windows, I am very happy with the quality and efficiency of your work, you have made this an easy and smooth process." "We are happy with the work. The painter has started his work and the result looks good - indeed I believe that less cold air enters our house." "Just a note to say how pleased I am with the work done by your carpenter. As you know the wood on both windows was in part bowed and uneven causing difficulty opening and closing the windows. They didn't look good either. Now they look great and open and close perfectly - a top professianal job. In view of the many hours spent working on the windows great value for money too. Thanks again." "Thanks for your work. It was completed very efficiently and we're happy with the results." "Just a quick note to thank you, Jan and Boris for the excellent work that took place on our sash windows. 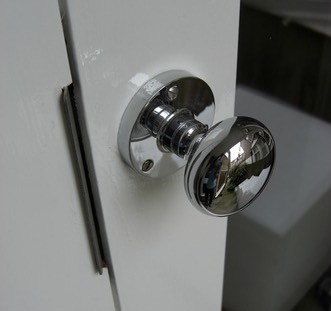 The workmanship and fittings are to the highest standard and the job was completed a day early. Jan and Boris kept the disruption to an absolute minimum throughout the works and my wife informs me they were very polite and courteous. I was very impressed with the daily clean-up onsite before Jan and Boris left for the day. The difference in all the rooms where repairs and draught proofing took place is astonishing - we now have a warm home and no more rattling! I would have no hesitation in recommending Acorn Sash Windows to family and friends and we shall definitely be using your company again in the future." "I would certainly recommend Acorn Sash Windows. Their price was competitive, but moreover they were consultative and professional in their advice, in the work required and in the overall delivery of the project." "Thank you for responding quickly to quote and repair. I am informed by our client that you were very professional and job completed satisfactorily. Regards." "Just to let you known how pleased we are with the renovation work that Boris did on our windows. The work was of a high standard and each room he worked in was left clean and tidy at the end of each day. I have never seen anyone work so hard... with very few breaks!" "As far as the windows go, they look really good. I have not carried out an in-depth inspection but I can't see any problems with them. They do look lovely and it is great not to have the wind and rain coming through, plus the noise reduction you get is fabulous! Jan and Boris were excellent, fantastic workers, totally trustworthy and reassuring. Dominic you are professional, polite, considerate, helpful and honest; I would not have any problems in recommending you or your Company. I will definitely call on you again if I decide to change my remaining windows." "I am more than happy to provide some words of recommendation for Dominic. We were provided with a very detailed breakdown of the costs and scheduling prior to the work being done which was carried out to an excellent standard. We are both extremely pleased with the finish to the windows and would certainly recommend Dominic and his team if you are considering replacing or refurbishing your sash windows." "Hi Dominic. Windows look fantastic, well done to you all." "Over the summer Acorn replaced our entire front bay sash window with double glazed boxes and a new paint job in addition to servicing and renovating another box in our spare bedroom. Dominic is an amiable and very efficient guy with very competitive rates who finished the job to an excellent standard. The windows look great and the double glazing is discreet and has significantly reduced the noise from the road. I'd happily recommend Acorn and Dominic to anyone." "Dominic came round to quote, listened to what I wanted, offered various options and didn't try to up-sell. The carpentry was done to a high standard and his team made every effort to minimise the distribution and dust in our flat. The painting was delayed due to bad weather but Dominic kept me updated and the final job was again of a high standard. Our windows now look better and are much safer due to new ironmongery. I'm (reluctantly) awaiting the cold weather to see the effects of the draft-proofing. Thanks again." "Dear Dominic, We are very pleased with the work completed. I know Jan worked solidly throughout the day!" "I can testify now to the wonders of Boris. We were all tremendously impressed by his attitude and work rate - especially the two young lads we have working with us for whom he has become an icon. I think you have made an excellent choice in your new employee." "Dominic was professional and reliable in his work. He informed us of any changes to schedule, was polite and straightforward in his manner, and highly efficient in providing us with a quotation and work schedule. His practical work was to a high standard and we would happily recommend Acorn Sash windows." "Dominic and his team carried out their work with great efficiency and to a very high standard. Throughout the entire process - from quote to finished product - Dominic was professional, helpful and considerate, providing clear explanations and advice, and all at an excellent price. The quality of the end product speaks for itself, but for those of you who won't be seeing our lovely renovated windows, I would not hesitate to recommend him for any sash window work you might need!" "I found the service provided by Dominic fantastic! It was a real pleasure to work with someone who responded promptly to all communications, kept all appointments and to the work schedule and delivered work of excellent quality. Living in a small flat we really appreciated the care with which the work area was tidied and cleaned everyday and how disruption was kept to a minimum. I would definitely recommend Acorn Sash Windows to anyone who appreciates excellent service and quality." "Dominic visited in March 2009 and provided us with three options for repair to our windows. We decided to replace the rotten sashes with new double glazed units and make good the existing frames. Jan the Carpenter worked incredibly hard in the late June temperatures and was finished on time. We found Dominic's quote very competitive and were very happy with the standard of work. We would strongly recommend Dominic and his team." "Just to confirm, I am happy with the services provided by Acorn Sash Windows. The process of inspecting, surveying and the production of a clear and concise priced schedule of works ensured that the work was managed in an efficient and effective manner. The works were carried out in occupation and Acorn were sensitive and proactive in ensuring security and cleanliness. The product itself is of a good material and provides excellent value for money." "We recently had our windows renovated and draught proofed by Acorn Sash Windows and we are very pleased with the work that was carried out. Acorn Sash Windows were extremely professional at all stages and were responsive to any amendments and queries. In addition, the work was carried out in such a way as to minimise disruption. We would not hesitate to recommend them." "We had our living room sash windows refurbished by Acorn Sash Windows. The windows now look as good as new. There are no more drafts and noise levels have also dropped, even though the windows were just given a makeover and not double glazed. The work was carried out on time and care was always taken not to leave any mess. I wouldn't hesitate to recommend Acorn for similar work." "We were very pleased with the work done by Acorn in draught proofing of the windows and doors in our house; we have already noticed a significant reduction in heat loss and unexpectedly an improvement in sound insulation. Dominic and his colleague were polite, efficient, on schedule and ensured that everything in each room was covered during the work. The work was of excellent quality with attention to detail. I particularly liked the professionalism of the detailed specification of the estimate which was kept up to date as we made changes." "I would thoroughly recommend Acorn Sash Windows to anyone: the standard of service is very high - just a shame that they don't do every type of builderswork!" "We employed Acorn Sash Windows to replace seven Victorian sash windows with double glazed equivalents, including full draft proofing throughout. We found them to be most helpful and friendly and their tender was competitive. The work was carried out in a highly professional manner and they treated our house with the greatest respect. We were very impressed with the quality of workmanship and attention to detail. Since the double glazed sashes have been installed the house has been markedly warmer and there has been a significant reduction in outside noise. We would happily recommend Acorn Sash Windows as very satisfied customers." "We have been very impressed with Dominic's work. He took a lot of time to make sure everything was just right and the windows now look great and work perfectly. Dominic was a pleasure to have around and took great care to keep the rooms he was working in completely covered up and clean. Dominic also offers excellent value for money. We recommend him wholeheartedly." "Dear Dominic, Just to let you know how pleased I am with your recent work in restoring my very tatty sash windows. The standard of work, your obvious commitment, timekeeping, cleanliness and effort have produced an excellent result that has enhanced the appearance, internally and externally, of the building. Renovating the sash windows has maintained the character of the premises in line with the surrounding environment. I was also very happy with the reasonable cost and your pleasant manner whilst at work. Thanks again." "Dominic Grant quoted for and repaired our sash windows in the Summer of 2008. He replaced the window and installed draft proofing in our kitchen which had suffered from damp rot. He also supplied and repaired the staff bead on one of our reception room windows to allow smooth opening. Throughout the work, Dominic was professional and knowledgeable. He arrived at the agreed times and his quotes and communication were very clear and easy. There was an issue with the cut of our kitchen window sash (the joiner hadn't cut it to specification) and he resolved this directly, very quickly and with no effect on our quote with him. We are very happy with the end result and I would recommend his work as excellent value for money. He also gave us thoughtful advice on other challenges we had in our flat renovation which we thought was excellent customer service. He is one of the most professional and helpful tradespeople we have ever worked with!" "I am happy to write a few words on the work of Dominic Grant who runs the company Acorn Sash Windows. I recently employed Dominic to draught proof the sash windows in my house in North London. This work is time consuming and requires great care and expertise. Dominic worked in a thorough, reliable and meticulous manner, sequencing the operation carefully and minimising the inevitable disruption. The result is very satisfactory. Dominic's prices are reasonable, and the detailed estimate he gives ensures one knows exactly what to expect - there are no hidden extras. He is a very pleasant person to do business with. I would be happy to recommend Dominic to anyone requiring any form of service to their sash windows." "We recently had four of our sash windows replaced and two others refurbished by Dominic Grant of Acorn Sash Windows. We are very satisfied with the completed work and found Dominic to be thorough, reliable and trustworthy. He finished the project within his estimated time and was respectful of our home when carrying out his work and afterwards in clearing up. We found him to be professional and his work of a high standard. We would happily recommend Dominic Grant/Acorn Sash Windows to any prospective future clients." "Dominic was very reliable and professional. He explained the work in detail and quoted accurately and fairly." "Dominic carried out an excellent repair and renovation of a sash window that was in very poor condition, in my flat. The work is of a very high standard and the wood used of very good quality. Dominic took careful measurements before starting the repair and was very well prepared. He was highly professional throughout. Dominic provided detailed and accurate quotations and always responded swiftly to questions I had. He was punctual and tidy, bringing all the equipment required. Dominic was also polite and friendly. I highly recommend Dominic for sash window repairs." "Acorn Sash Windows fitted my sash windows promptly and efficiently. The job went very smoothly and I am extremely pleased with the results. I can thoroughly recommend Dominic's prompt and polite service." "Thanks for the great work and I won't hesitate to recommend you in the future." Thanks to all of our customers who have let us know how pleased they are with our work.